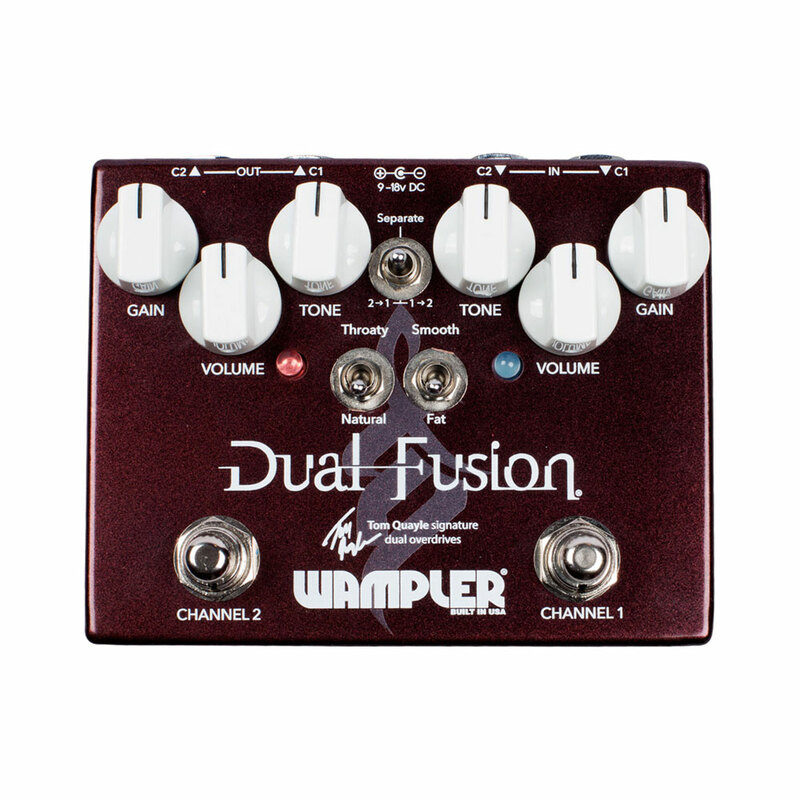 The Wampler Dual Fusion features 2 completely separate overdrive pedals in 1 box that can be stacked into each other either way or used independently. 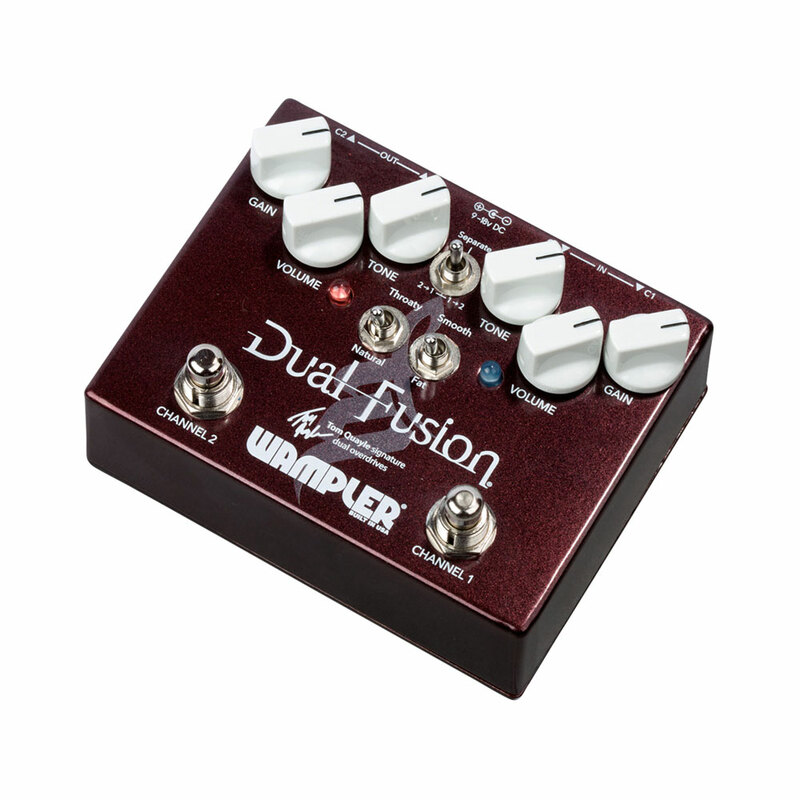 Originally based on the Wampler Euphoria and Paisley Drive pedals, these have been tweaked to allow them to stack in to each other beautifully. 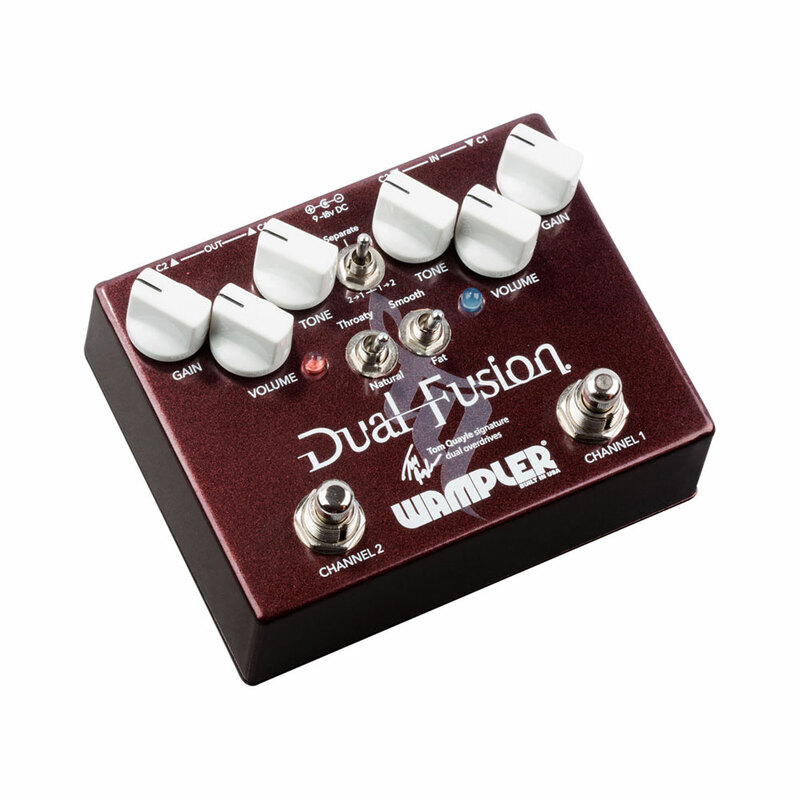 Designed for one of the front runners of fusion guitar, Tom Quayle, the Dual Fusion is making waves across all genres due to its sound quality and flexibility. 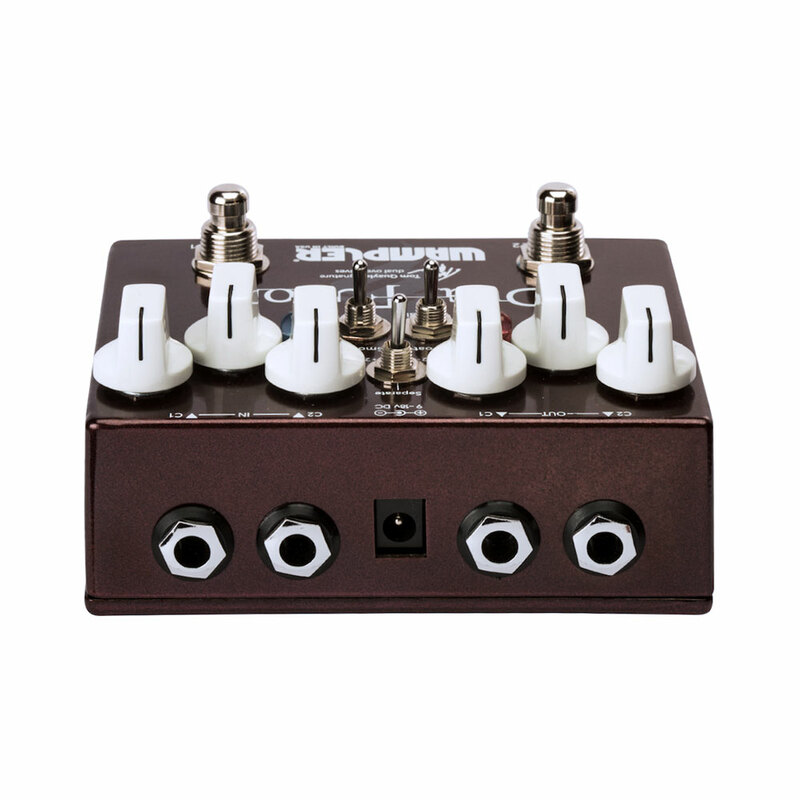 Each channel has volume, gain and tone knobs as well as a tone voicing switch, with a brighter single coil guitar, you can get anything from fuller cleans to some seriously powerful drive. 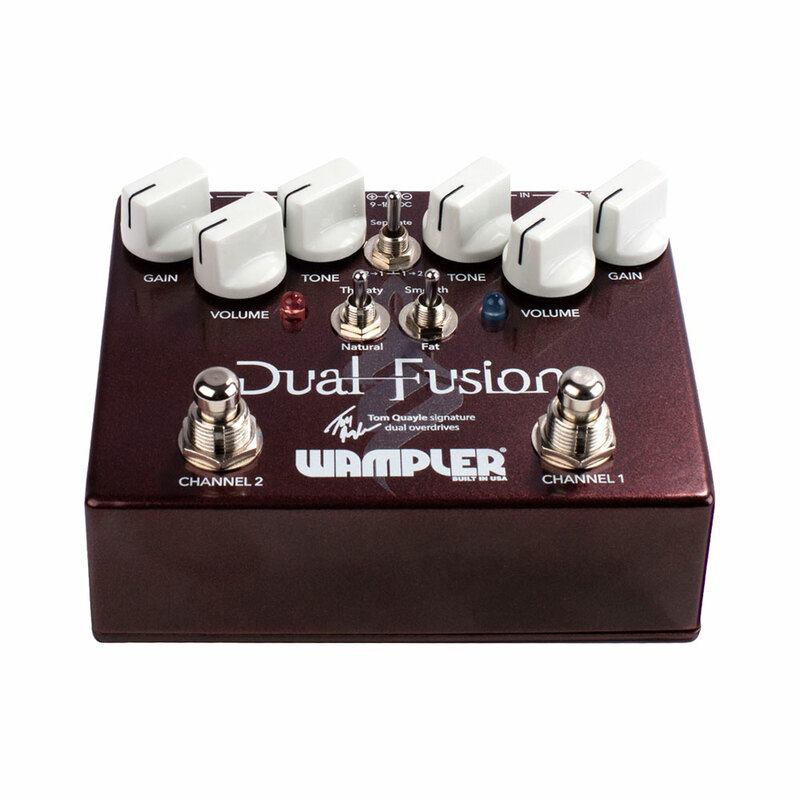 With a more aggressive instrument, there's enough dirt on tap to get into a fully saturated tone.